Privacy window film protects against 99% UVA/UVB rays, rejects up to 75% heat and helps reduce glare all while preventing onlookers from being able to see into your space. 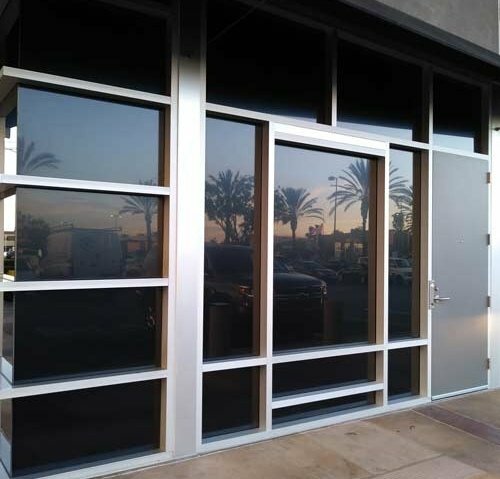 A silver reflective window film that reduces heat and shields 99% UVA/UVB rays. A gray, limo-tint window film that shields 99% of UVA/UBV radiation. Great for areas that have extreme heat and glare.